Debut studio album by the American singer. The album was written, produced and recorded entirely by Eilish and brother Finneas in their childhood home of Highland Park, Los Angeles. 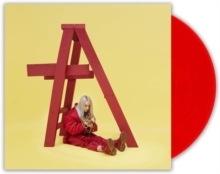 Recorded in Finneas' bedroom opposite Billie's, the pair spent most of 2018 writing songs on the road, then spending many days and nights when off the road, at home, recording the album.